As a speech pathologist, I was taught in my first clinical rotations in graduate school to spend a little time at the beginning of every therapy interaction on rapport building. I have found that this, quite simply, is helping the student associate me and the work I do with… fun. So, I make sure to ask the parent, during initial phone consultations or evaluations, what makes this child “tick.” The key with the back-to-school season, especially if you’ve had a few weeks of a hiatus with your student, is to restart with a rapport building session. Pretend you’re just meeting the student for the first time. This also applies to those parents out there doing home-based exercises: start slow, be generous with rewards for good work and be extra careful to structure your sessions around games. Also, just as schools tend to pace themselves with the work they assign to kids as the new school year begins, we too should reduce, then gradually increase, our expectations. This might mean skipping one of your home-based sessions per week or making them extra short-and-sweet. I realize that this may be, in the short term, less goal-directed, but their cooperation is crucial. 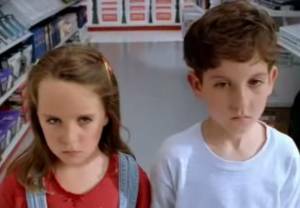 The kids are excited and maybe a little overwhelmed; let’s make sure we don’t make it worse. Now that the new school year is upon us, I thought it would be helpful to take a fresh look at some of some materials (apps and games) I’ve come across recently that I really have liked and that may have utility for your work with your kids. Some of these are newly released and some have been around for some time, but I wanted to make sure you were aware of them. I sometimes say, only partially in jest, that scheduling is the hardest part of my job. That is meant to be tongue-in-cheek, but I never seem to get better at scheduling, even as I continue to hone my clinical skills. It is certainly a challenge to balance a busy clinical schedule of my own with those of my families. And, in September as the school year begins again, it all resets. I recently came across a very nifty free app called Doodle, that I think could be enormously valuable for both parents and clinicians. The app allows you to create an event with specific people (say, a mother or a father, or a therapist) and select days and times of the week that are available to both parties. Here’s an example of what a Doodle schedule might look like. As you can imagine, either the parent or the clinician can first set up a Doodle schedule. I’ve begun to use this in scheduling my sessions this fall and it really is very straightforward, takes only a couple minutes to set up and likewise, only a couple minutes for the other party to fill in. A couple of words of caution for clinicians who would use Doodle: you can conveniently set up one schedule for yourself and then email the url created by the system that would take clients to your schedule. If you do this – and it could save you a lot of time – be sure to tell your clients to use only their child’s initials or first name as the same schedule will be visible to everyone you send it to. We clinicians always want to keep identifying information confidential so this is a very important thing to consider if you decide to use Doodle for scheduling. Also, if you find this tool useful, you may upgrade to a premium version, for $39 per year. There are quite a few note-taking apps (Evernote being the most popular one I gather). I’ve found, for SLPs, SuperNote, is especially useful because it provides an easy way to record speech. The speech record of the students I work with is, in essence, my livelihood. The record function is the centerpiece of this app and its use is very intuitive. At the end of my sessions, I know I have an audio recording archived, and searchable according to date. Also, you can customize your types of recordings. For me, I have a “sessions” tab (no surprise there) and an “evals” tab for the evaluations I do. I often use this to record the parent interview portion of the evaluation. 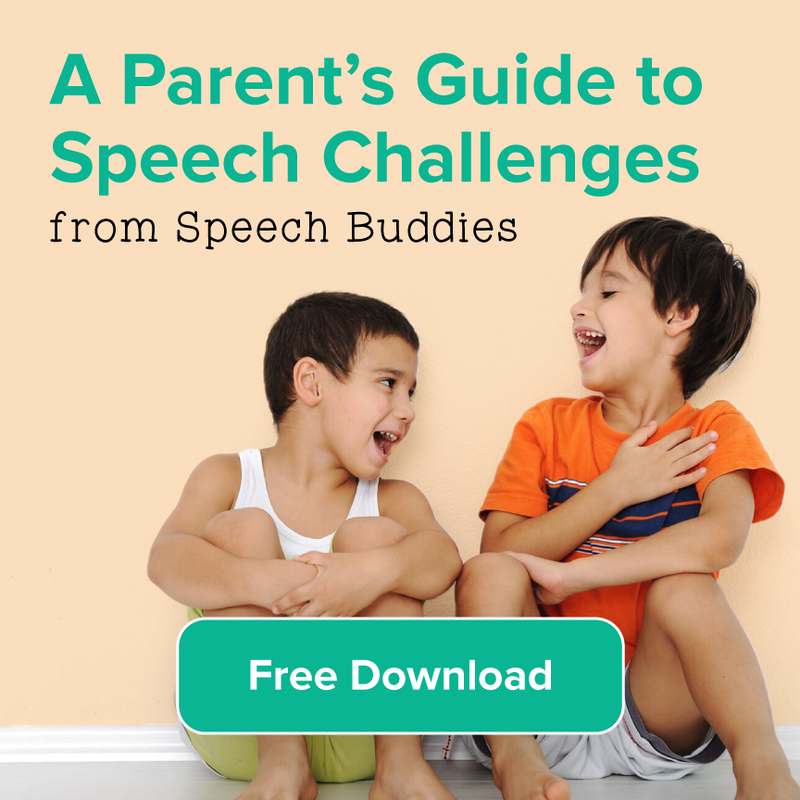 For a parent, I suggest creating a tab for each speech sound the child is working on, or for each stage in the child’s acquisition of any particular skill. 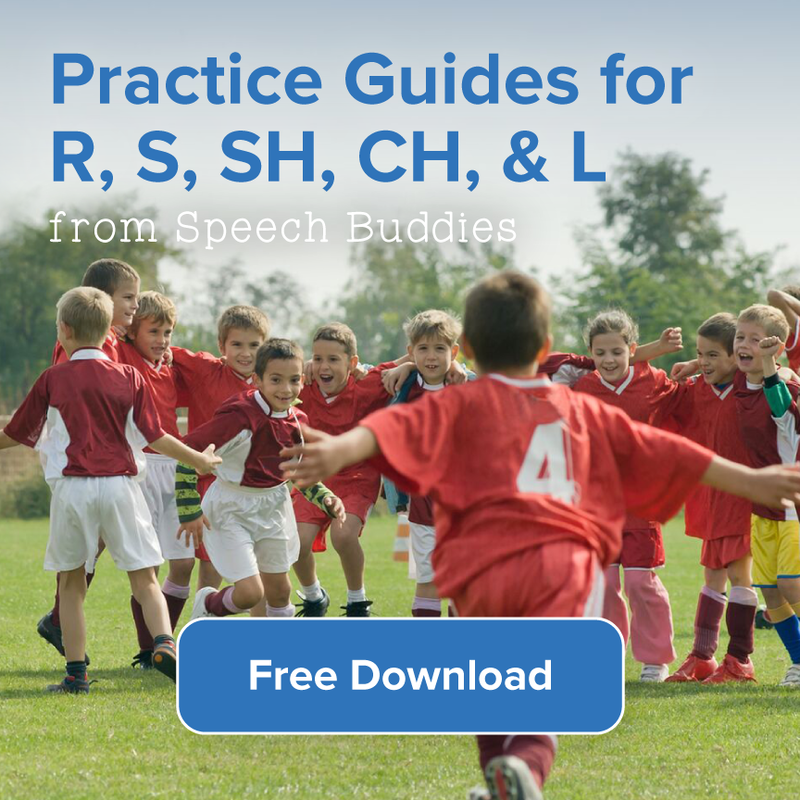 For example, if a child were working to improve his R sound, then there could be a tab that had his or her recordings of words containing R, another containing sentences with R words in them, and another containing conversations or spontaneous speech. 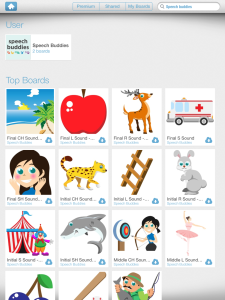 SuperNote is not only a great archiving option, but can be used to provide immediate or delayed feedback to a child on how they are speaking; children can hear themselves and become more aware of the speech they are working to improve. Bitsboard is another very intriguing education-focused app that is getting a lot of attention. The beauty of Bitsboard is its simplicity — a template for educational games that can be customized around any topic. 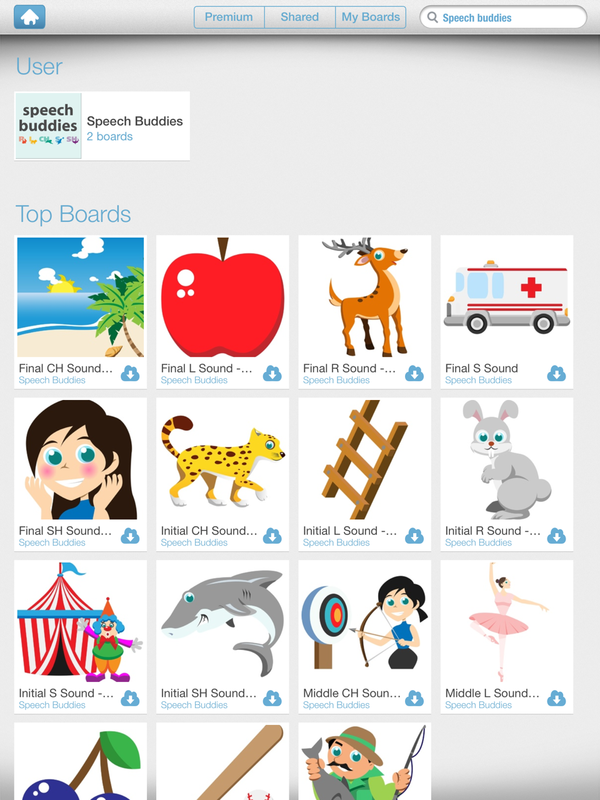 For example, Speech Buddies has developed its own set of custom boards within the app which any parent or speech pathologist working on articulation can use. However, a teacher, parent or therapist can also build his or her own boards around any topic. Bitsboard can organize your homemade “boards” into games like picture matching, letter searches, spelling bees, bingo, etc. ; just import your photos and Bitsboard does its magic. You could construct boards around planets, or reptiles, or countries in Europe, or select something particularly motivating for the student. Whether your goal is to target a particular speech sound like R or S, or to improve a child’s narrative skills, Bitsboard can make this work a lot more fun! I’ve recently been introduced to the social media site Quora. The premise is simple: you ask a question and one or more experts on the topic of that question will weigh in. After signing up, you’ll be asked for your interests (e.g. travel, films, education, etc.). These preferences will, of course, help filter what you’re shown. 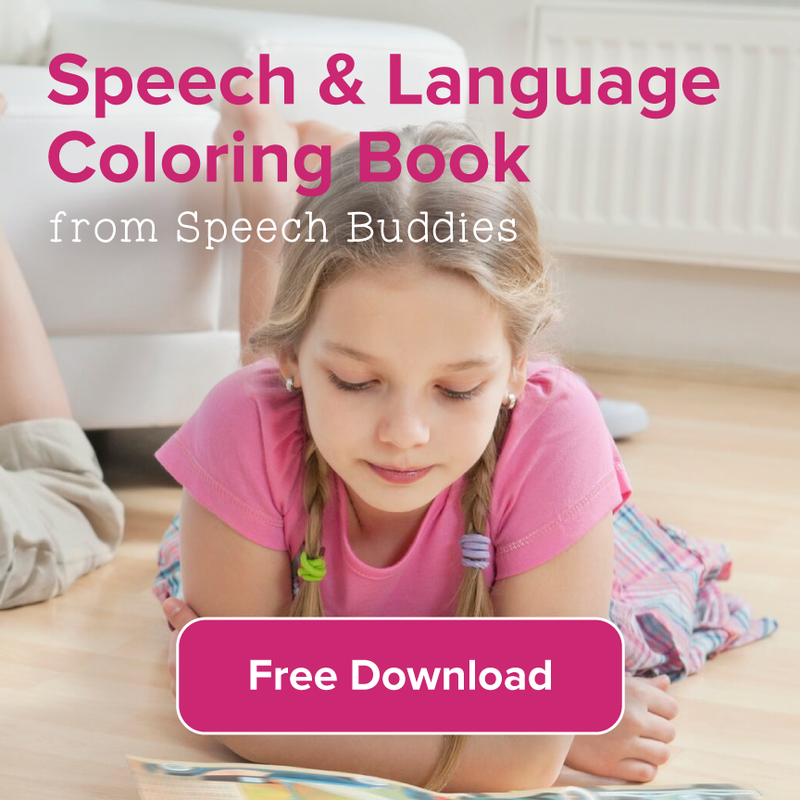 However, from a parent or speech pathologist’s perspective there’s a lot of relevant, case-specific information that you can solicit. 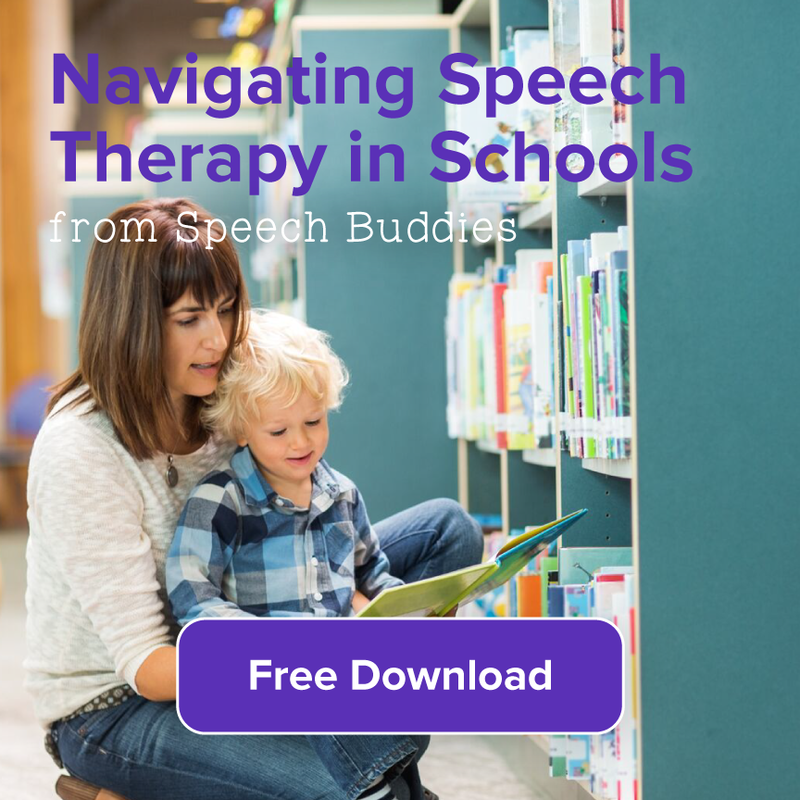 For example, one could ask, “how many minutes per day should I work on my son’s speech therapy at home?” Therapists or other parents will provide answers for your question, with the community collectively up-voting the best answers. Quora is helpful because a lot of smaller, but still crucial questions come up during the therapy process, especially during home-practice. Quora is an instant community of experts and shared experience to take advantage of. I hope these suggestions have been helpful to you. This is a crazy time of year (manic Monday every day it seems!) but one that is so full of promise. Best of luck with this school year! 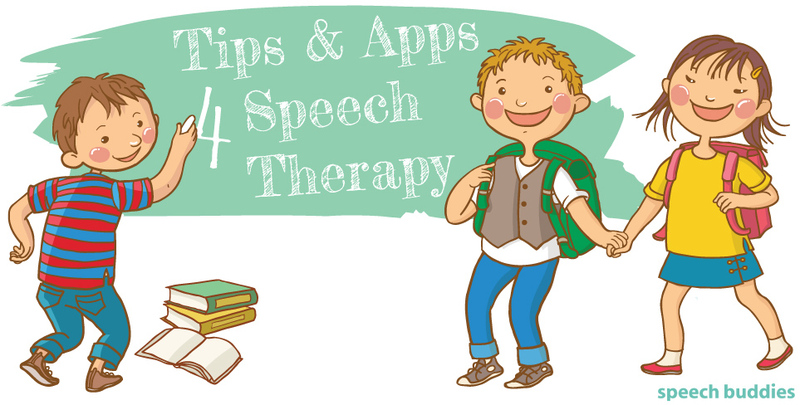 ← I Think My Child Needs Speech Therapy – What Now? !